Alan checks in with Capcom's crossover series Marvel vs. Capcom, and finds it making about as much sense as usual. 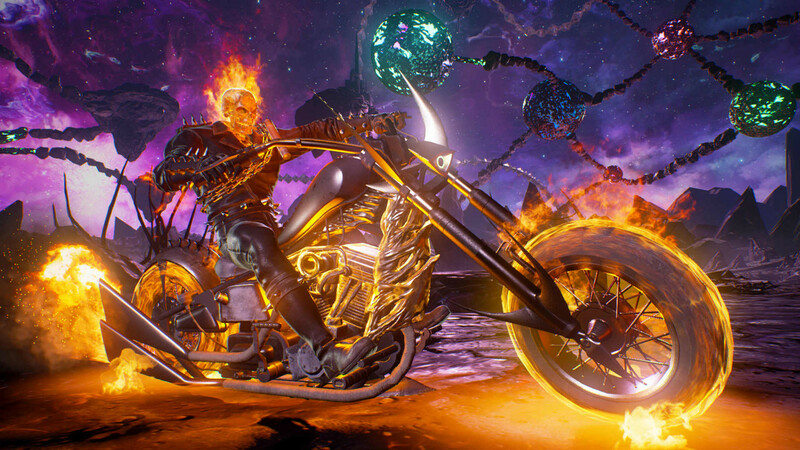 Depending on how you choose to count, Marvel vs. Capcom: Infinite is either the fifth, sixth, or eighth entry in Capcom’s multiverse fighting series. 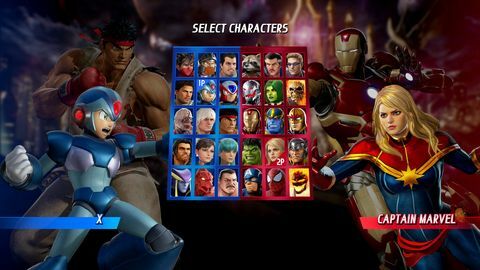 Fans of the 19 to 21-year-old franchise (see the first sentence) will immediately recognise the formula: characters from Marvel and Capcom rosters go toe-to-toe with each other in Street Fighter-style 2D combat. You aren’t restricted to just one character; instead, you can choose any two of the 26 available in the base game (10 more can be added via DLC) and then freely switch between them during a bout. This strategic element is more than just about having the right tools available to you at any given moment; Infinite’s "active switch" feature means that you can swap characters in mid-air or even in the middle of a combo, significantly expanding your effective move set by letting you branch from one character’s combo sequence into another’s. Exactly how well this near-infinite combination of combos has been balanced… well, only time will tell. I didn’t notice any significant issues in my explorations, although a literal infinite combo has already been discovered. Hopefully it'll be patched out soon. The main new feature in Marvel vs. Capcom: Infinite is so important that it’s actually referenced in the name: Infinity Stones. Fans of Marvel comics will know that these all-powerful gems – just one of which created the entire universe – are often sought by apocalyptic beings like Thanos, who you might remember from the post-credits scene at the end of The Avengers. Also, they corrupt anyone that possesses them. 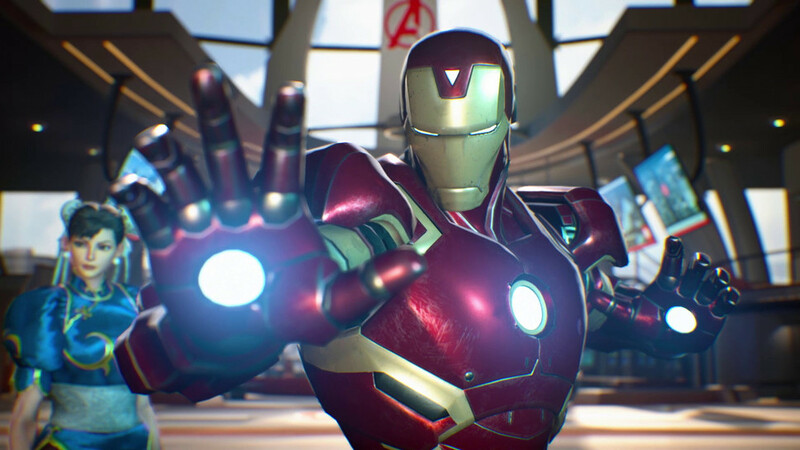 In Infinite, you can equip Infinity Stones almost like a third character, which enables you to trigger specific moves and abilities that really spice up the gameplay. The Time stone, for example, lets you zip all over the place at lightning speed, massively augmenting the available move set once again. You can zip past a projectile and your opposition character entirely, after which you can rip them asunder from behind. It’s pretty rad. If that all sounds complicated, it’s worth pointing out that Infinite is probably the most accessible fighting game I’ve ever played. Marvel vs. Capcom continues to embrace features that enable even fighting game newbies to do stuff in the game that feels impressive. For example, spamming a single button executes a chain combo that throws enemies into the air, continues the beatdown above the ground, then smashes their foes back down with a dramatic flourish. It works the same with all characters and is effective throughout the entirety of the story mode, effectively eliminating my core gripe with those modes in other games, where you often have a challenging “boss” to fight while in control of a character you’ve never played before. You can also trigger one of your character’s "Hyper Combos" (super moves) by simply pressing the strongest punch and kick buttons together. Advanced players will want to explore the manual options the game offers, where much more variety and subtlety exist, but if you’re a fan of the characters on offer and worried about whether you can actually participate because of the genre, stress not; the auto-combo features are very successful at breaking down this particular garden’s walls. As for the story mode itself, well… it’s not that great. There are elements of the 2-3 hours you’ll spend in here that make it worth exploring if you own the game, but if you think it’s going to approach any of NetherRealm’s titles you’re going to have a bad time. The story is largely nonsense, the banter forgettable, and the animation of characters between cutscenes is less "believable" and more "oh isn’t it nice that members of Over-actor’s Anonymous got some work". Seriously, it’s preposterously over-dramatic. Then there’s the loading, which… sheesh. Into and out of cutscenes is an interminable delay. There's nothing at all like the relatively seamless transition you see in the likes of Injustice or Mortal Kombat. Still, the old adage that fighting games don’t need a story is still kinda true. There’s a robust arcade mode, loads of tutorial-style challenges to attempt, and actually beating down with the cool cast of characters is loads of fun. Switching between a slow, ultra-powerful behemoth like Nemesis or Thanos and a tiny speedster like Arthur really switches things up, and my long history playing games with these guys definitely triggers a serious thrill now that I get to play with them again, and in such a unique way. It’s a fair criticism to say that there’s not a whole heap of innovation or reinvention here over what has come before, either inside of or outside of the franchise itself. Character models, for example, appear to be largely the same for returning members of the roster, and they’re all super buff dudes (even Spider-Man looks like he’s got a serious allergy to something), with just five women to choose from. After playing so much Injustice 2, Infinite feels like a budget game in comparison. There’s very little polish on offer and a serious lack of time or budget would go a long way to explaining why the story mode feels so much like a tack-on. 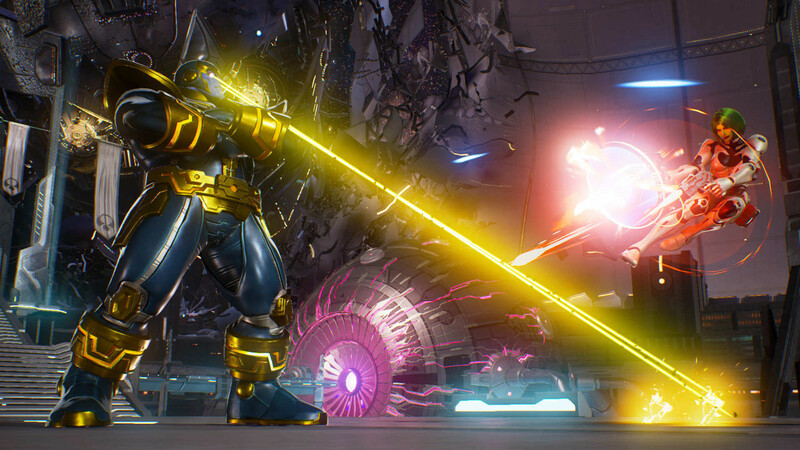 At least the fighting stuff at the core of Marvel vs. Capcom: Infinite is very good fun, and the depth added by both the active-switch feature and the Infinity Stones does enough to give the game its own sense of character. If you don’t mind a rough diamond, Infinite is a gem. Ups Chaotic battles. Infinity Stones add many exciting new options to gameplay. Easy to get into. Downs A mess of a story. Some comically bad character models. Few women or X-Men on the roster.